You know spring is firmly ensconced when the first cutting takes place. Today, on my morning drive I passed several farms in the process, and I made sure to put my windows down to inhale the clean scent of newly mown grass. 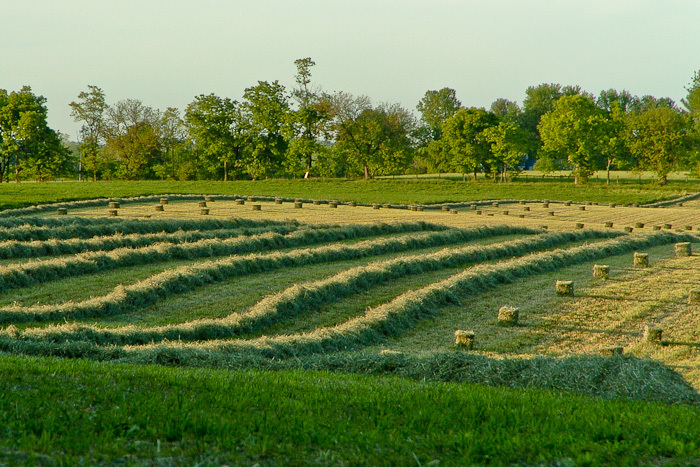 Many years ago, I worked on a farm that produced thousands of bales of hay per season. I don’t remember ever being as fit as I was then, not only throwing bales from the field onto the trailer but also stacking them in the achingly hot, dusty mows. Even though it’s been more than 20 years since I did hay, I still fondly remember the camaraderie I felt with my co-workers and the feeling of accomplishment that comes when you toss that first fresh flake into a horse’s stall and watch him munch away to his heart’s content.